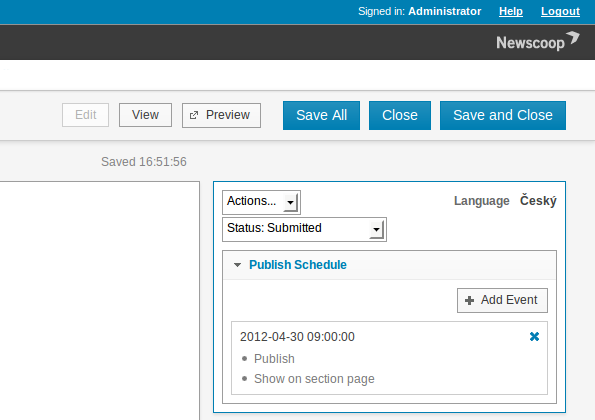 After changing the status to Submitted, the page will be reloaded. The editors will be able to see the fresh submission when they log in to Newscoop. 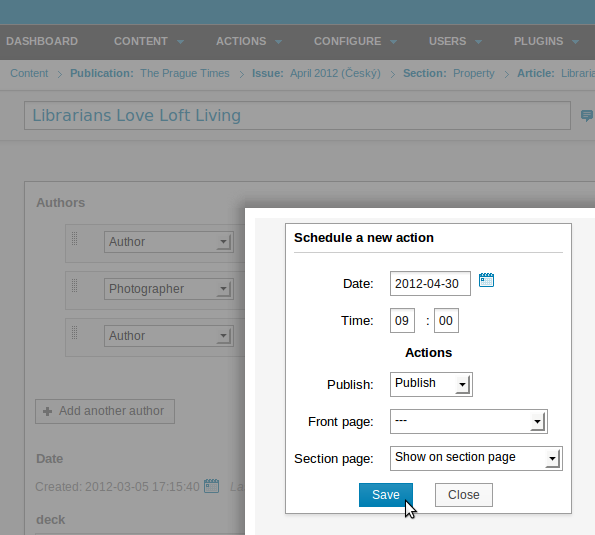 Articles which are ready for editing are listed in the Submitted Articles view on the Dashboard. Once the editors have made any required changes and are happy with the way the article reads and appears, they can publish the article by changing the drop-down Status: menu to Publish with issue. Again, the page will be reloaded. After clicking on Add Event, a pop-up window will appear with a calendar and a series of three possible actions for the date and time that you choose: Publish/Unpublish, Show on front page/Remove from front page, and Show on section page/Remove from section page. Your publication's theme must support the front and section page switches for these features to work. 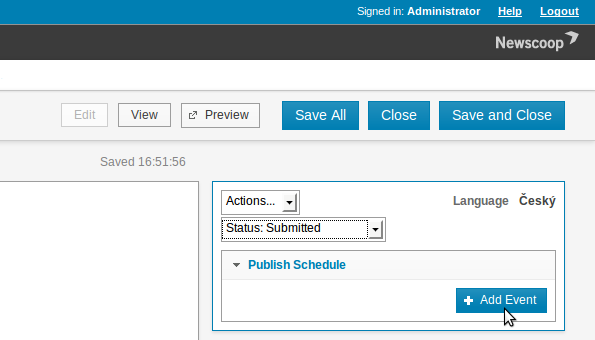 Once the event is created, the actions will be performed automatically for you on the date and at the time you specified. 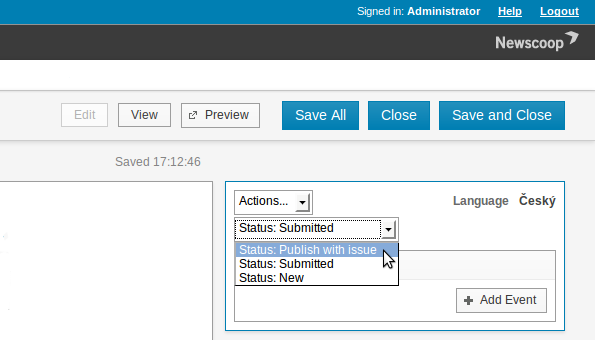 After the event time, in the example above, the Status drop-down menu will change to Published, and the event will no longer be shown in the Publish Schedule box.